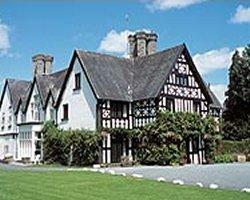 Choose from 445 hotels and guest houses in Wales. Shown below a just a selection of the hotels available. To search within an area please use the menu on the right. 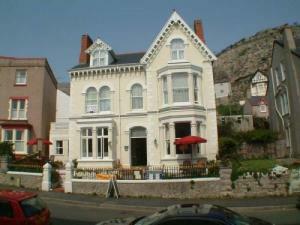 The Albany Hotel is the perfect location with its 24 en-suite rooms for visiting Tenby. The Albany Hotel is situated on the Pembrokeshire Coastline, and a couple of minute stroll to the North Beach and Harbour. Near to the Pembrokeshire Coastal Path and close proximity to many local attractions such as Oakwood Theme Park, Folly Farm, Heatherton, Caldey Island and a number of National Trust Properties. 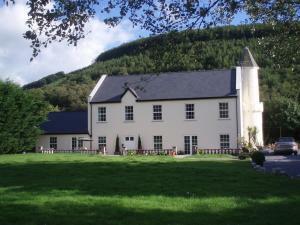 On the edge of the Brechfa Forest, in the beautiful yet largely undiscovered Gwili Valley, this luxurious bed and breakfast has 3 individually designed rooms with flat-screen TVs and DVD players. Glangwili Mansion has a beautiful, peaceful location, ideal for walkers and cyclists and for those wishing to visit the many visitor attractions of Carmarthenshire and Pembrokeshire. Now carefully renovated and lovingly restored to its former glory, the Glangwili Mansion has 3 individually designed en suite rooms, each with its own unique character and charm. 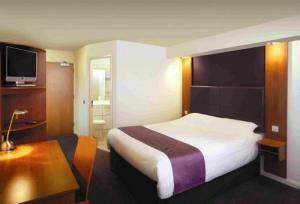 Every room has a large en suite bathroom, luxurious beds and original modern art on all the walls. All of the rooms have soft, fluffy dressing gowns and slippers, flat-screen TVs with DVD players and seating areas. Tea/coffee making facilities, flasks of iced water and hair dryers are standard in every room. A full cooked breakfast is included in the price and free Wi-Fi is available in the public areas. This 18th century former coaching inn is renowned for its atmosphere and critically acclaimed food. Surrounded by beautiful Welsh countryside, The Wynnstay offers the full hotel services you would expect from a 3-star hotel, but with the warmth of character and service more akin to its traditional origins. A convivial Good Beer Guide listed bar is complemented by, "The best food I've eaten in Wales" (The Daily Telegraph) in the restaurant and the number one pizza restaurant in the UK (according to The Times). A major social centre in the town, catering for business travelers and tourists, mountain bikers, golfers, fishermen and those who just want to enjoy the beautiful surrounding area. The Observer called it "different"; The Guardian called it "rustic and cosy"; hopefully, you will call it home. 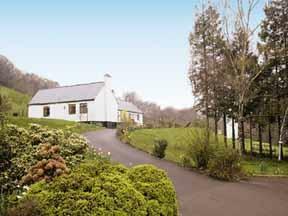 Gellifawr is located in the beautiful Gwaun Valley in the Pembrokeshire Coast National Park. It is situated four miles away from the coast and beaches at Newport Sands. The nineteenth century stone farmhouse has been lovingly restored and comfortably furnished ensuring a warm welcome to this tranquil and relaxing family run hotel. The seven hotel rooms, all of which are non smoking and designed for comfort, are spacious and are ensuite with power showers. They all have tea and coffee-making facilities and colour television. We also have a special four poster room for that romantic occasion. 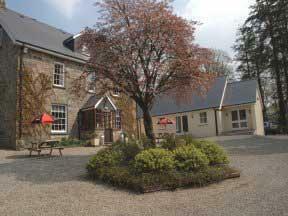 The focus is on a relaxed environment, where we can welcome returning guests year after year. Unfortunately the hotel does not have a lift. Highly commended by the Grand Theatre, which is situated opposite, this friendly hotel and public house is set in the heart of Swansea, just a short drive from the Gower Peninsula. If you are here to visit Swansea city centre, the famous Mumbles, the Marina, or to see one of the Grand Theatre's famous shows and events, the Singleton hotel is the ideal place to stay. It is also within easy reach of the new Aquapark and the LC2. 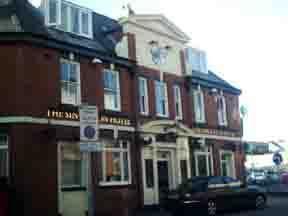 The Singleton is famous for its live music at weekends, popular amongst guests and the locals. Live music stops at 23:30. Expect comfortable rooms with luxury power showers at the Premier Inn Pontypool, which has free parking and is close to Pontypool and New Inn Rail Station Some of the rooms can accommodate 2 adults and 2 children (under 16 years). The 2 children are also served a free full breakfast, when accompanied by an adult eating a full breakfast. The full all-you-can-eat breakfast includes cooked items, vegetarian options and a wide continental selection. 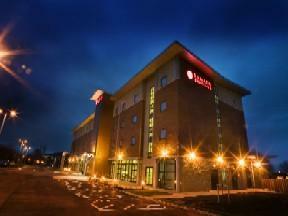 Premier Inn Pontypool is next to a Harvester restaurant, serving a varied menu, in a welcoming environment. Set in a peaceful rural village in the heart of the spectacular Conwy Valley, this 3-star family-run hotel lies on the edge of the Snowdonia National Park, framed by the Carneddau Mountains. 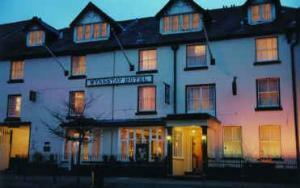 Having recently undergone major refurbishment, the hotel now offers a modern bar and 70-seat ? 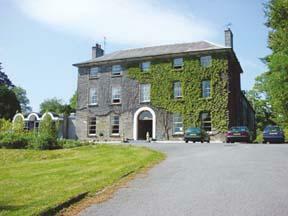 la carte restaurant, as well as 10 standard rooms, 2 executive rooms and 2 self-catering cottages. In addition to a conference room for 20, which overlooks the gardens and can be adapted for small functions or weddings, the hotel also boasts a large private car park and access to all the major attractions of North Wales, especially the National Trust Gardens at Bodnant. With family-friendly rooms, a Beefeater restaurant and free parking, this Premier Inn hotel is 5 minutes' drive from the M4, and 5 minutes' walk from Baglan Rail Station. The Premier Inn Port Journey is a 5-minute road journey from Port Talbot, or 3 minutes by train from Baglan Rail Station (which also has trains to Cardiff and Swansea). Some rooms can take 2 adults and up to 2 children (under 16 years). The 2 children also get a free full breakfast when accompanied by an adult eating a full breakfast. The full all-you-can-eat breakfast has the expected cooked items, including vegetarian sausages, as well as a wide continental selection. 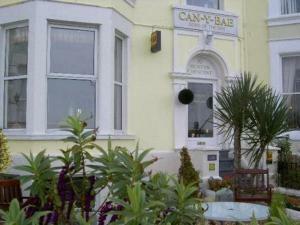 On the seafront in Mumbles, with spectacular sea views of Swansea Bay, this small, charming, family-run guest house prides itself on its comfortable accommodation and tasty breakfasts. The Coast House has just 7 rooms, guaranteeing its guests friendly, attentive, individual service and a quiet, relaxing break. 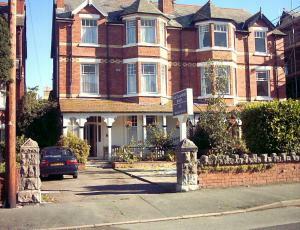 All of the rooms are en suite and most of the rooms have good sea views. Each room has a hairdryer, fluffy towels, complimentary tea/coffee making facilities and a TV with Freeview digital channels. The price includes a full cooked breakfast, with a choice of fruit juices, cereals, fresh fruit and yoghurt. As it is only a small guest house, the Coast House cannot provide 24-hour check-ins. Guests should provide their arrival time in advance, in order to ensure that they can be checked-in. 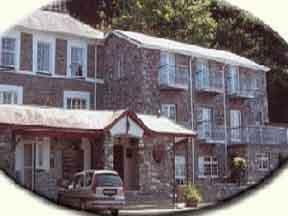 The Coast House is a family-run guest house with over 30 years experience of looking after guests. Maesmawr Hall is situated in the beautiful Severn Valley, 5 miles (8 km) from the market town of Newtown and 1 mile (1.6 km) from the village of Caersws. The beautiful period house is privately owned and personally supervised by the resident proprietors. The hall was built in 1535 and is Grade II listed and still retains many original features. Most bedrooms are within the main house and some others are located in the Coach House just across the front lawn. Situated well of the beaten track in a spectacular position above the River Usk, this charming country house hotel offers log fires, a sunny terrace, locally sourced food and plenty of walking routes in the surroundings. Placed between the 2 market towns of Abergavenny and Brecon in the valley of the River Usk, this family-run establishment sits just south of the A40. Set in the middle of the Brecon Beacon's National Park, the hotel has a stunning location, with spectacular views of its own grounds and the River Usk. With delicious cuisine and friendly, efficient service Gliffaes is the ideal base for exploring the magical Brecon Beacons National Park and walking through the countryside and surrounding hills. You may wish for nothing more than a lazy lunch in the sunny conservatory with a bottle of wine, followed by a walk along the river and afternoon tea. Then, round off the day with a drink by the fire. Situated on the southern boundary of the Carmarthenshire seaside village of Ferryside, which nestles on the Three Rivers estuary of Carmarthen Bay, the hotel boasts a friendly environment and magnificent views. Overlooking Llanstephan and its ancient castle to the west, and Carmarthen Bay towards Caldy Island and Tenby to the south west, this non-commercial, peaceful and quiet town is the ideal location for a relaxing weekend break in West Wales. Due to its proximity to Carmarthen, Llanelli and other centres, Ferryside is also an ideal corporate meeting place. Incorporated within the hotel is Carmarthenshire's premier private health facility, including a heated swimming pool, jacuzzi and fully-equipped gym.